Every week, I hear about more telehealth, telemedicine, and mHealth solutions in the marketplace – many with their own innovative approach to solving healthcare issues. Yet many of these innovations are struggling to get the traction they hoped for. Many providers of telehealth or mHealth solutions are not getting the adoption or utilization they need to succeed, let alone survive. 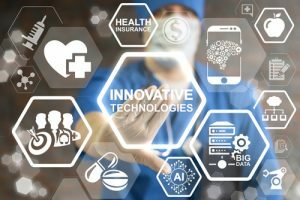 Luckily for you, in this guest article, Dr. Saif Abed of AbedGraham Healthcare Strategies helps you see if you are violating one or more of the laws of innovation and adoption. Note that his lessons go far beyond telehealth and mHealth alone, and speaks broadly to innovation in healthcare. This broad applicability actually makes it even more critical to read about these laws. Why? Because your telehealth and mHealth solutions are not just competing against other similar solutions. They are competing for awareness and adoption against a whole spectrum of healthcare innovations. 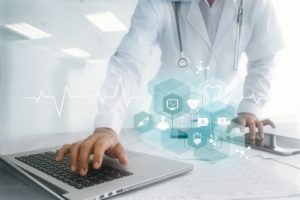 And so, understanding these laws will help you see why your telehealth / mHealth innovation might be losing ground against a completely unrelated healthcare solution. This should be the easiest part shouldn’t it? Especially when it comes to digital technology and apps in healthcare. I mean it’s mobile, fast, effective and relatively inexpensive. It should be pretty simple really shouldn’t it? I mean you’ve got a great product, it makes sense, it works, the feedback you’ve received has been great but you’re sitting by your desk perplexed. Why aren’t they beating a path to my door? Anyone who’s ever tried to bring their idea to market will have had to deal with the harsh reality of adoption. It’s one thing to hear positive comments about the virtues of your prototype but quite another to have the mass market embrace you. Now this is a subject which is constantly studied in the world of business academia often best exemplified by Geoffrey Moore’s ‘Crossing the Chasm’ (1991) but before that came Roger’s elegant masterpiece ‘The Diffusion of Innovations’ in 1962 and that’s what I want to share with you today. In fact I want to share 5 simple ‘laws’ which I think every startup should be mindful of and use. So without further ado let’s begin! Words aren’t good enough though. In my recent blog discussing venture capital I strongly emphasised getting frontline data to demonstrate the strength of your assertions and I repeat it here. 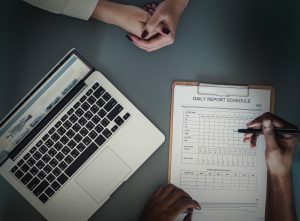 Your mhealth app or device might clearly offer unparalleled advantages compared to the incumbent technologies and systems. But perceptions and familiarity are difficult foes to overcome. So wherever possible gather evidence to tangibly demonstrate the clinical and cost advantages of your invention. Quite simply you can’t deny the facts especially when they save money AND lives. One thing that I believe is extremely ironic about digital technology and the language that follows it is that we have an obsession with causing ‘disruption’ and ‘destruction’. Now that’s all well and good and I support it and all other Schumpeterian talk but let’s get real for a second. These aren’t the friendliest sounding words. The reality is that your idea and invention needs to be remarkably easy to use and should fit into the workflow and lives of its users be they doctors or patients. Now, peoples’ habits and daily routines might inevitably change especially if your product is effective but that shouldn’t be your opening gambit. Beyond that though, your concept should fit with the thoughts and values of its users and that couldn’t be simpler in healthcare. We’re here to empower patients to improve their health and to work with doctors to prevent, detect and manage health, wellbeing and disease. You may love talking about algorithms but not everyone else does. Take your idea and distill it into its fundamental function. What’s the problem that it’s going to solve? Does it make sense? Quite simply is it intuitive? Will a doctor or patient or any other healthcare stakeholder see it and just get it? With the advent of smartphones we’re all getting far more tech savvy which is a great advantage for would be technology ‘disrupters’. So try and make sure people can either get your product or that it’ll be as straightforward as possible to learn to use. Changing age old habits are hard. Hospital wards have run the way they run for such a long time. Doctors’ rotas (work shifts) are still managed the same way as they were 20 years ago and we practice medicine using even older methodologies. Despite, all that you’re standing here in my office telling me I should be doing things differently? Now getting a chance to trial a new piece of technology for free won’t necessarily ensure that everyone will use it. But at the very least it gives people an opportunity to experiment and provide feedback and at best it can create a viral effect with positive word of mouth spreading and subsequent adoption. So just consider it…that’s all I’m saying. If I can see it working and delivering on its promises then I’m probably going to be pretty satisfied. If it delivers well beyond my expectations then I’ll definitely be satisfied and even start developing loyalty! If the feeling is strong enough then I might just start sharing my experiences and then maybe, just maybe, we might get a viral effect. What’s even better is if those who aren’t using your product can directly see its’ benefits. Well, I must have some of that then! Start thinking about your product design and how it demonstrates its effects whether its’ by eliciting feedback or through a graphic display of results or whether it’s through your own work to develop new measures and metrics of effects. The more observable the positive effects then the more incentive to adopt. So that’s a brief synopsis of the infamous Roger’s Five Factors. Rogers seemed to love describing things in 5s but I think this particular set of 5 ‘laws’ as I call them I think are essential for any startup or inventor to include in their strategy from Day 1. But adoption is the key to turning ideas into innovations and that means you need to be thinking about the long game. Dr. Abed is a medical doctor, start-up consultant and VC/M&A advisor based at the University of Cambridge, England. His consultancy, AbedGraham Healthcare Strategies, focuses exclusively on investments & innovations in the growing digital healthcare sector. His firm is composed exclusively of medical doctors with higher degrees in business management and economics. What do you think of these 5 laws and how they affect your solution? Please share your comments below. Health Insurance Exchanges: Will State IT Departments be Able to Meet the Deadlines?